Billy Lee Rockhill, 82, of Niles passed away at his home surrounded by his family on January 27, 2019. He was born on May 18, 1936, the son of Amos and Olive (Carmean) Rockhill, both deceased. 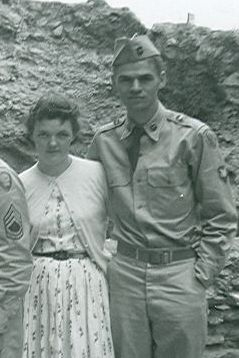 Bill is survived by his wife of 63 years, Helen Patricia (Clarke) Rockhill; his brothers Allen, Donnie, Ronnie and Thomas Rockhill; his son James and daughter-in-law Catherine, son Timothy and daughter-in-law Rhonda, daughter Tamara and son-in-law Audie, son Thomas and daughter-in-law Martha, and son Todd and daughter-in-law Sarah; grandsons Timothy and Conor; granddaughters Jessy Oprea-Wilson and her husband Aaron, Erin, Caitlin Lundquist and her husband Charles, Rachel Sperry and her husband Devin, Samantha, Ceili, Emily Risener and her husband Danny, Morgan, Maggie, Rosie and Claudia; in addition to his four great-grandchildren Willow, Andrew, Hayden and Brooklyn Rose. A Memorial Service for Bill will be celebrated at 11am on Thursday, February 7, 2019 in HALBRITTER WICKENS FUNERAL HOME, 615 E. Main St., Niles where family and friends may gather one hour prior to the service.